Jamie's passion for dance began at a very young age. After watching a friend's dance class, Jamie told her mom, "I want to do that" and from that moment, her love for dance was born. Shortly after, at the age of three, her mom enrolled her into a Creative Movement class. Tap, Ballet, and Jazz were soon to follow. Jamie continued her dance training through Elementary, Middle School and High School at various studios within the Puget Sound area. During that time, she performed in many parades, local & national dance competitions and talent shows. While in high school, she choreographed dance numbers for multiple drama productions. Then at the age of 18, she started teaching her own classes. For almost two decades, Jamie has taught dancers of all ages and levels in Tap, Ballet, Jazz, Lyrical, Creative Movement and more. Over the past years, she has attended workshops and taken classes from notable dancers such as Gregory Hines, Savion Glover, Arthur Duncan, Brenda Buffalino, Al Gilbert, Joe Tremaine, Gregg Russell, Avi Miller & Ofer Ben and many more. She continues to attends multiple dance conventions throughout the year, always learning and bringing back new ideas from the best dancers and choreographers in the industry to share with Vitality students. Above all, Jamie truly enjoys teaching and sharing her love of dance with all of her students. She believes that dance should be fun for all and accessible to everyone. Drew began taking Hip Hop classes at the age of five and was instantly hooked! Within a year of her very first dance class, she was taking every class that her mother would allow, while also competing with her studio's competition team. 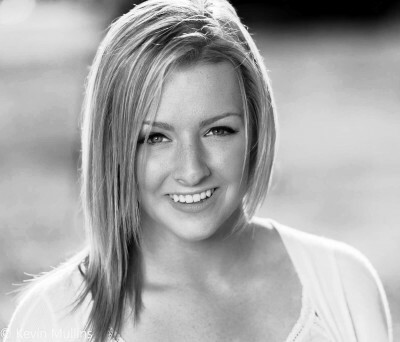 Drew is trained in Hip Hop, Jazz, Lyrical, Ballet and Tap. Though, the first three are her favorite and her specialty. Drew has received numerous cash prizes, scholarships and too many overall high scores to count. During high school, Drew, had the opportunity to assist and choreograph for the younger group on the competition team. It was the first winning team that she was able to be a part of behind the scenes. After graduating high school and retiring from the competition scene as a dancer, Drew was a dancer in Seattle's number one celebrity impersonation show "Le Faux" for five years. The last three years here in Duvall have brought something irreplaceable; her very first dance team completely under her direction. The high level of achievement and growth that took place during those three years was absolutely inspiring and is what pushed her to co-own Vitality Dance Center. Most recently, Drew has been working directly with Cedarcrest High School Cheer, choreographing Hip Hop routines, providing conditioning workouts and stretch & strength practices. She looks forward to working with Redwolves Jr Cheer this year as well! Drew believes in working hard for what you want to accomplish in class. Her goal as a dance instructor and coach is to not only push her students to a higher talent level but a higher level of confidence and self-worth. Hailey discovered dance when she was in 8th grade. She and her friends decided to take a Hip Hop class just for fun. The first day was a little unnerving, as anything new can be, but she soon realized just how much fun dancing is. Hailey then enrolled for the rest of the season. She was a couple months behind, but worked hard to catch up and learn as much as she could. By the time recital rolled around and the season was coming to an end, Hailey was hooked. Since then, Hailey has studied and enrolled in a multitude of styles, including Hip Hop, Lyrical, Jazz, Ballet, Tap, Musical Theater and Technique classes. She has been an assistant teacher for Drew Main for two years and will be continuing as an assistant for both Drew and Jamie Russell this year. Hailey’s goals in the classroom are to learn as much as she can from her superiors as well as assist in teaching young students proper technique while maintaining a fun and safe environment. Hailey believes dance can be beneficial for both the mind and body. It is a joyful way to exercise as well as a way to express humor, emotions and passion. Hailey encourages anyone of any age or gender to try dancing, whether it be in a competitive or recreational way.